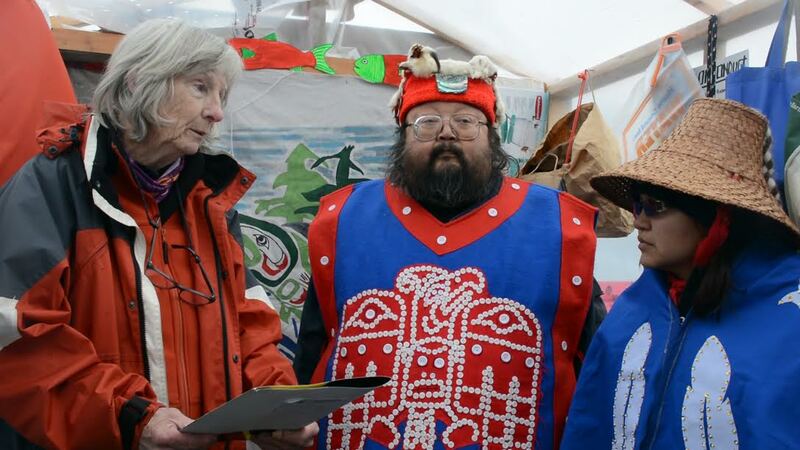 In late August, 2017, First Nations leaders and members of the ‘Namgis, Mamalilikala, and Musgamagw Dzawada’enuxw began observing two Norwegian-owned Marine Harvest fish farms in the Broughton Archipelago on Swanson and Midsummer Islands within their traditional territories. They have never given their consent to open-pen Atlantic salmon feedlots operating in their territories and are now demanding that both the provincial and federal governments recognize their right to traditional fishery and take action to have the fish farms removed. The Council of Canadians Comox Valley Chapter and Clayoquot Action delivered supplies and messages of solidarity in early November, 2017.